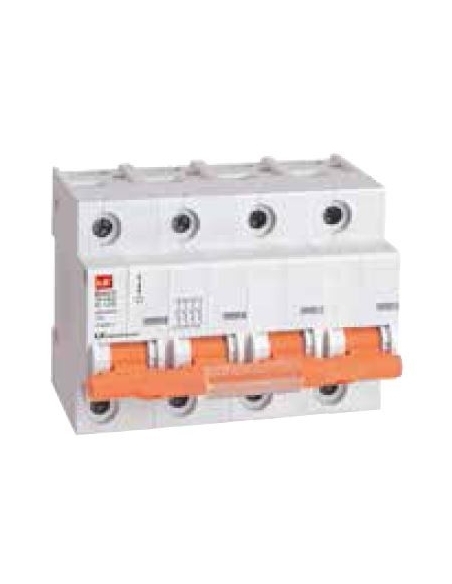 If you are looking for a 4-pole circuit breaker, whether for domestic, tertiary or industrial use this is your section. 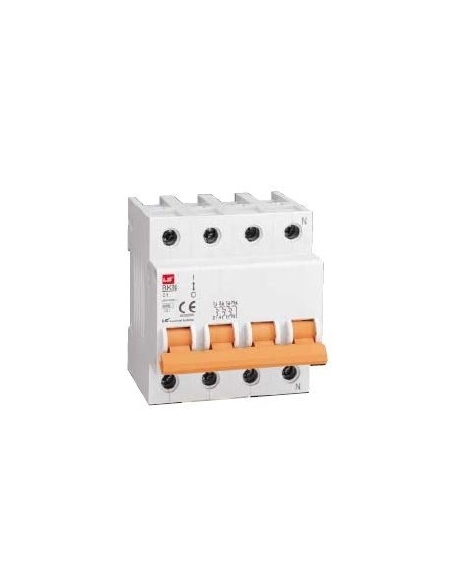 Here we put at your disposal a wide variety of single pole circuit breakers of different intensities from 1A to 125A, with characteristic curve: "C" or "D" and 6KA or 10KA cutting power, so that you can find just the switch you need. 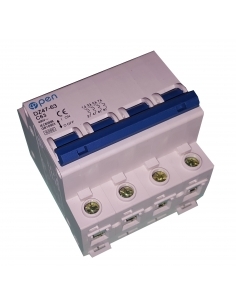 4-pole circuit breaker, brand Open Electric, for intensities between 10Amp and 63Amp. 4-pole circuit breaker, brand Open Electric, for intensities between 80Amp and 125Amp. 4-pole circuit breaker, brand LS Industrial Sistems, for intensities between 1Amp and 63Amp, curve "C". 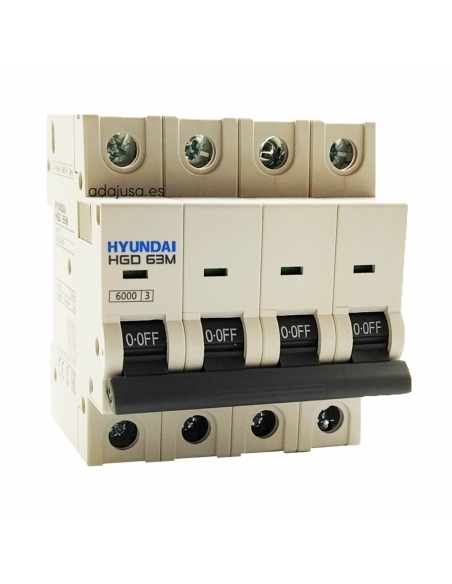 4-pole circuit breaker, brand Hyundai Electric, for intensities between 1Amp and 63Amp.